Light up the little boy's birthday cake with this Blue 1st Birthday Candle. 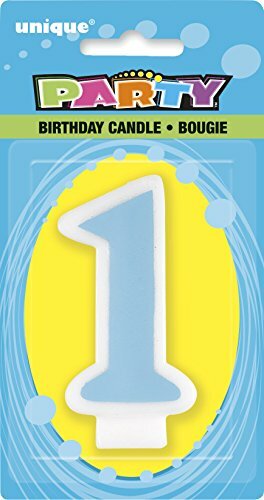 This birthday candle is shaped like the number one with a light blue fill, which will add to the theme of a baby boy’s 1st birthday party. The birthday boy is sure to get excited to blow out his first birthday candle when he sees this number candle sitting atop his cake.